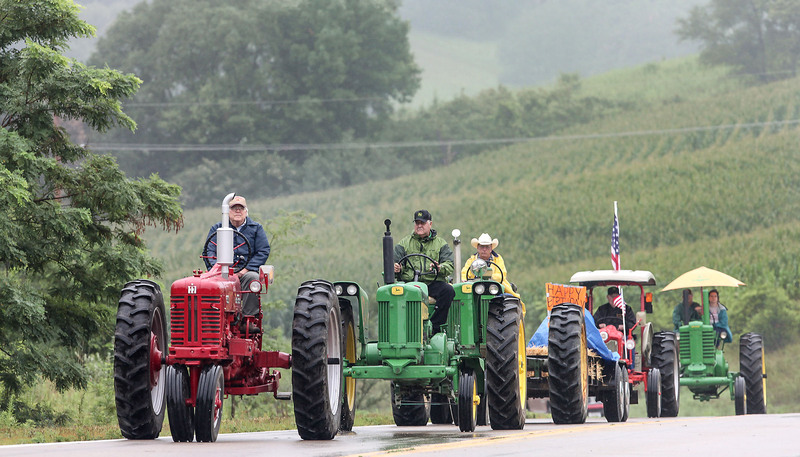 Morning rain cut the number of exhibitors by half, but clearing skies brought out crowds to enjoy displays, activities, and home-made pie and ice cream Saturday during the sixth annual Tractors Tall and Small in Fort Calhoun. 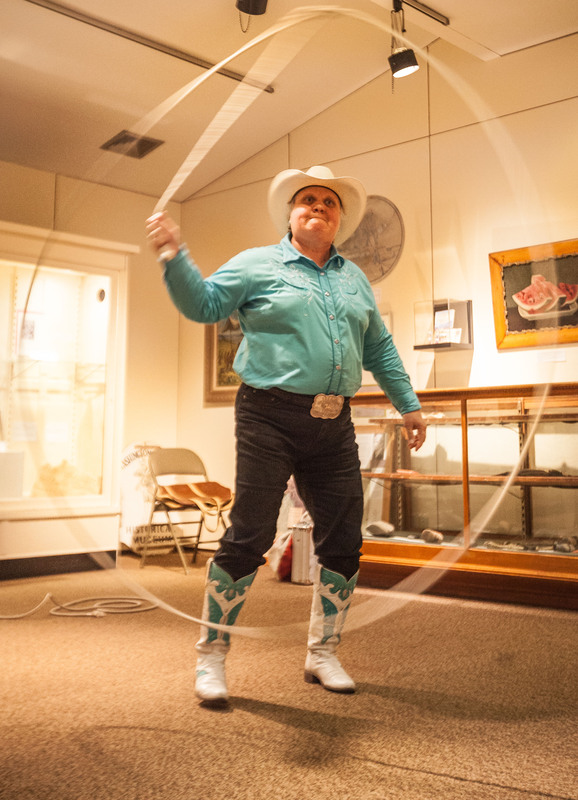 The event is sponsored by the Washington County Historical Museum. 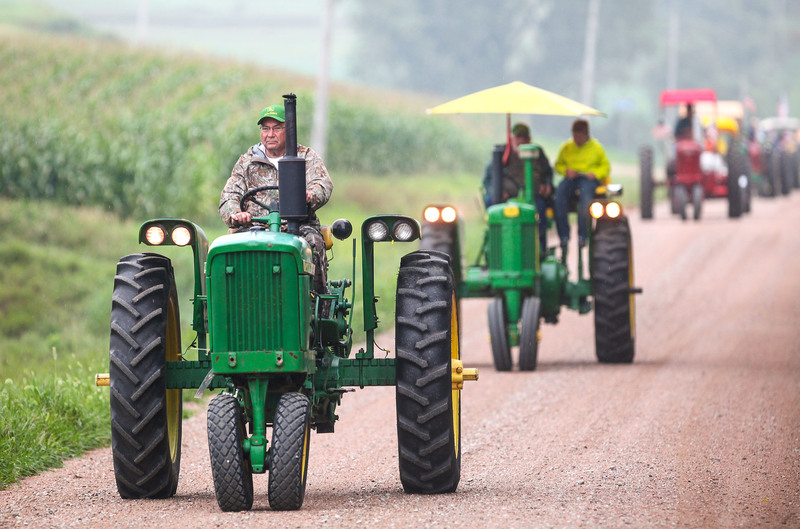 Saturday morning tractor ride along county roads west of Fort Calhoun. 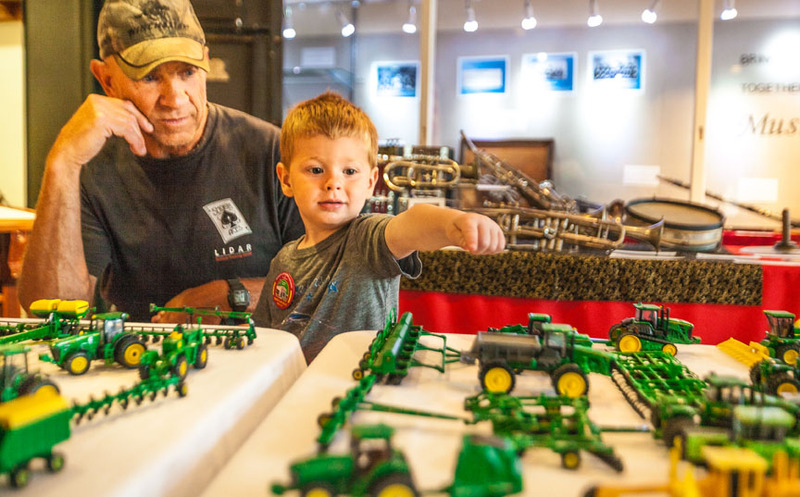 Larry Pfeifer watches as Mason Newman points to a favorite miniature tractor. 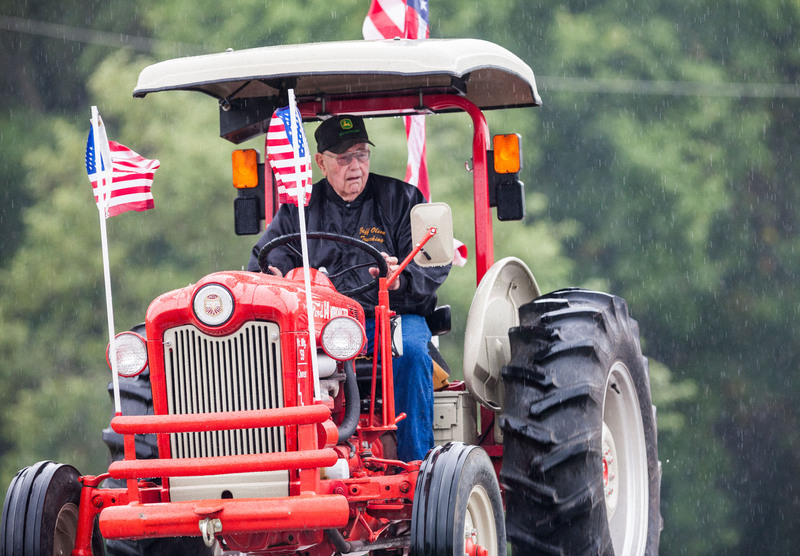 Lloyd Olson’s 1959 Ford Workmaster tractor is all decked out with American flags during the rainy morning tractor ride. 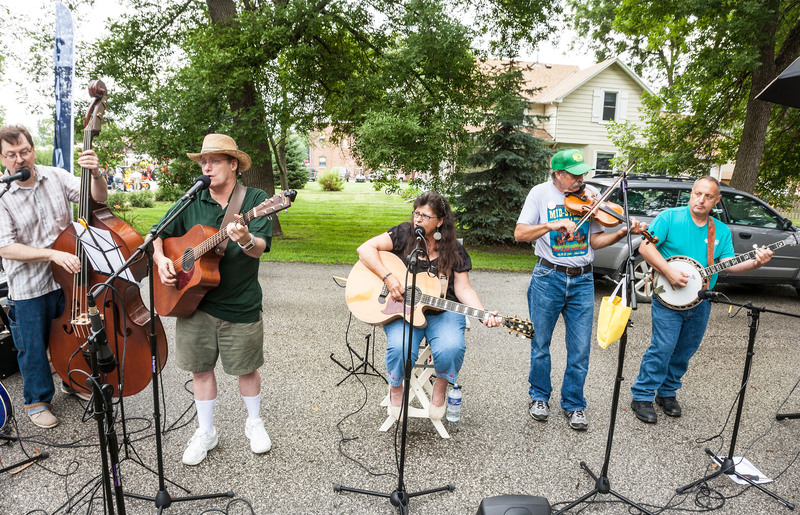 The Roundhouse Band was a featured act Saturday’s Tractors Tall and Small event in Fort Calhoun. 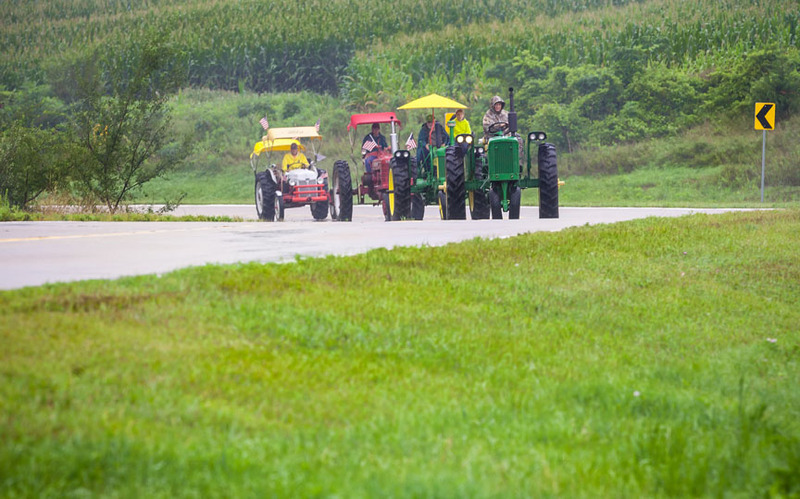 Mike O’Brien leads the tractor ride along county roads south-west of Fort Calhoun during the morning tractor ride. Trick roper Joan Wells performed for young and old. 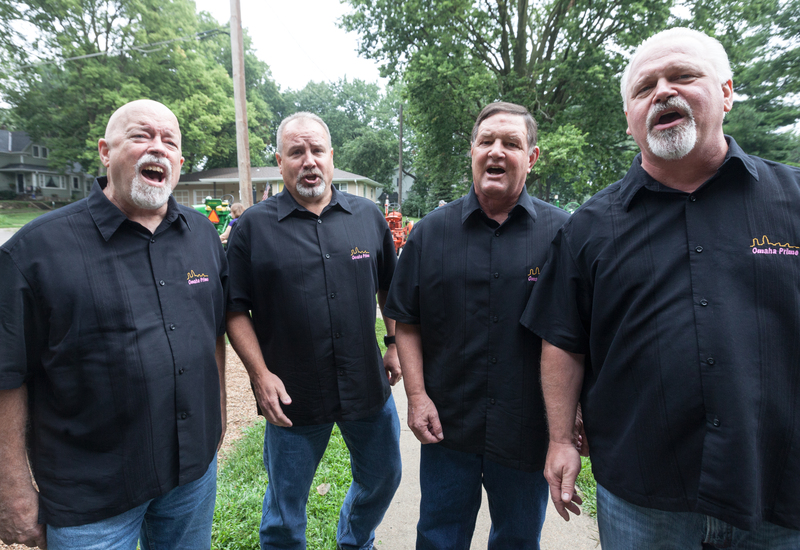 Omaha :Prime Barbershop Quartet strolled through the event venues singing a variety of numbers. 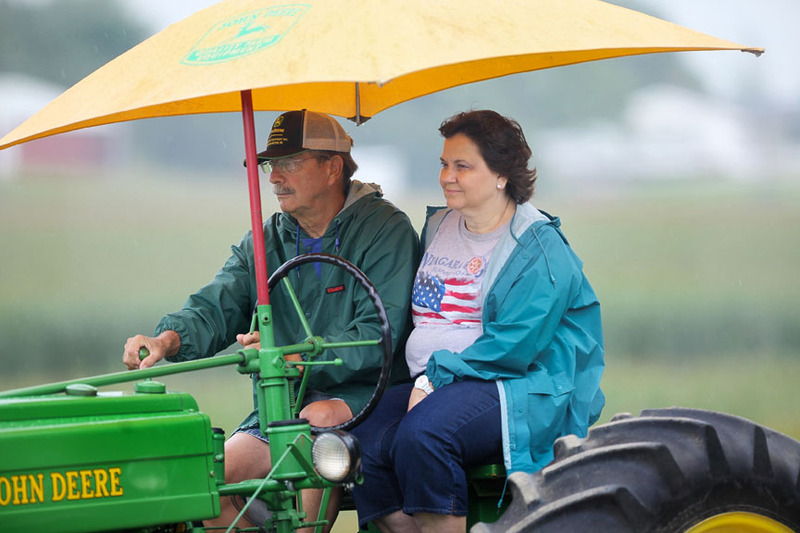 Denny and Norma Baehr stay dry under canopy during the morning tractor ride.